Mister Rogers starts off this visit by demonstrating two tuning whistles. Although they look the same, they sound very different. He goes to his piano and plays the notes made by the whistles. Taking the whistles with him, Mister Rogers visits a music rehearsal at Negri's Music Shop where the musicians play Be Brave, Be Strong and Let's Think of Something to Do. In the Neighborhood of Make-Believe, Daniel asks that the cereal that has fallen on his clock be packaged and given to people in need. Mayor Maggie sings Then Your Heart is Full of Love before Neighbor Aber brings a forklift to help move the boxes of cereal. Back at the house, Mister Rogers sings Then Your Heart is Full of Love before Mr. McFeely stops by with some yogurt to share and a film on how yogurt is made. Mister Rogers concludes by talking about loving: "There's so many things to know and wonder about in this world. And there's so many people who want to show and tell you all they can. People who want to help you to learn and to be brave and strong and interesting and loving. That's the best part of living -- loving. And I love being with you." The musicians rehearsing at Negri's Music Shop include John Costa, Bob Rawsthorne, Carl McVicker, Joe Negri, and Eric Kloss. As Mr. McFeely gives the cup of yogurt to Mister Rogers, Mister Rogers says, "I love yogurt!" 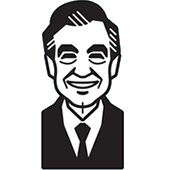 According to the March 2000 issue of Biography Magazine, every day Fred Rogers would "bring his own lunch of yogurt and crackers in small red duffel bag." The film of yogurt being made was made in conjuction with Stonyfield Farm Yogurt. Carpenters: Rich Karapandi, Don Kann Sr.